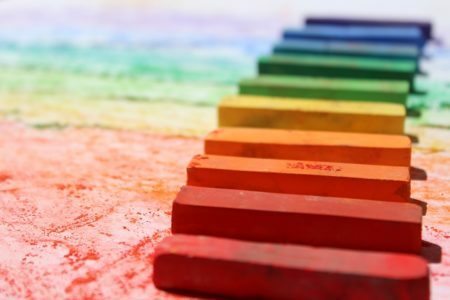 There are many beeswax crayon products that are now available in the market today. Most of the manufacturers are marketing their products as guaranteed safe to use even for young toddlers. But, do you really believe them? There is a possibility that all those safety claims by the manufacturers can be just a form of sales talk. We don’t even know if they really declared all the ingredients they used on their product labels. Anyway, if you cannot trust any of the commercial beeswax crayon products out there, then you should make your own. There are many tutorials that you can easily find here on the internet just like what we are about to discuss on this post. This is a very simple guide on how to make your own beeswax crayons at home specifically intended for young children to use. Step 1: On this first step, you need to melt your beeswax by using your double boiler. Your double boiler consists of two pans. One from the bottom and the other one from the top. Put water from the bottom and then on top are the wax. Step 2: Along with the wax, add the flaked or grated glycerin soap. Make sure that the soap that you are going to use is non-toxic. The amount needed must be equally the same as the beeswax. Step 3: Turn ON your double boiler and apply the appropriate melting temperature for beeswax. This make take time depending on the quantity of wax and soap that you are going to melt. As you melt the two mixture, you should also monitor the bottom pan to make sure that it won’t go dry. If this happens, the temperature of your boiler will rise quickly which will burn your mixtures. In short, proper heating temperature is the most crucial process on this step. Step 4: Ones the mixture has been properly melted, stir it well and then add a paste of food coloring as a tint. You should introduce the pigment by putting small amount and then mix it. Then, your eyes should tell you when it is enough or if it still needs more adding of the pigments. Step 5: Finally, pour the final product into the mold of your choice and then leave it for a while until it hardens. You can use plastic materials for molding a shape but you should cover it with aluminum foil before pouring the mixture. 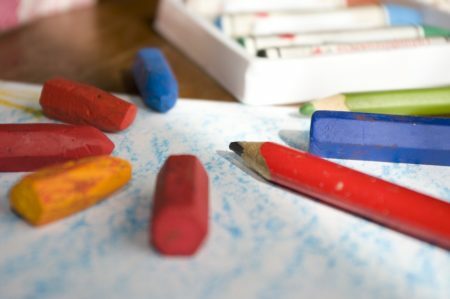 You can go back to step one again if you want to create another different color of your own home-made beeswax crayons. Moreover, the whole process is too simple but you are always free to make some improvements. Just make sure that you are not adding any toxic ingredients. Anyway, the beeswax crayons you make out of this simple tutorial gives you a peace of mind since you yourself made them.